Aurora Borealis, also known as the Northern Lights are among the most extraordinary natural phenomena on Earth. This dramatic, fascinating and magical display of colorful lights in the sky during the dark winter nights is actually the result of collisions between gaseous particles in the Earth’s atmosphere with charged particles released from the sun’s atmosphere. Simply put, they are caused by the solar wind that collides with the oxygen and nitrogen molecules in Earth’s magnetosphere, making them glow like the gas in a fluorescent tube. The term Aurora Borealis was coined by Galileo Galilei in 1616 from the mythical Roman goddess of the dawn, Aurora, and the Greek name for wind of the north, Boreas. The northern lights are characterized by the appearance of streamers of reddish or greenish light in the sky. 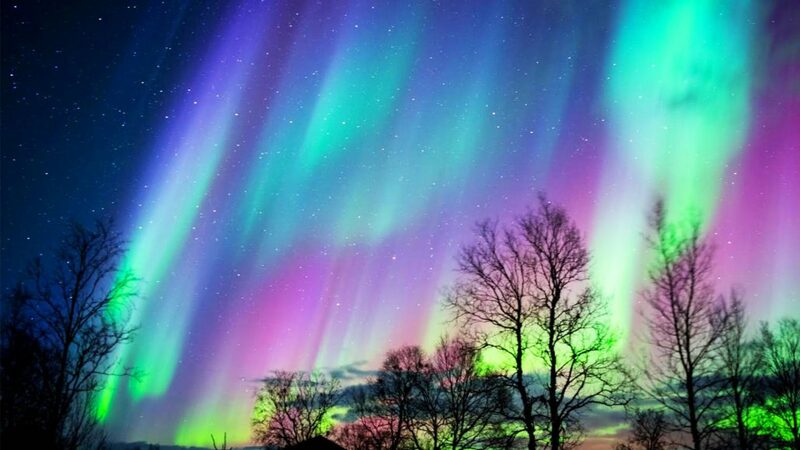 Northern lights in shades of pink, yellow, blue, and violet can also be seen in the night sky. The aurora borealis often appears as patches or scattered curtains of lights following the lines of force in Earth’s magnetic field. At some times, they form quiet arcs or spiral clouds of light. Some lights, called active lights evolve and change constantly. There is no scientific certainty when the best time to see the Aurora Borealis because they are unpredictable but they can appear on any dark night. During winter is usually the best time to see them, due to lower levels of light pollution and the presence of the clear crisp air. These lights are visible under clear cloudless skies between the months of September to April. The long periods of darkness and the frequency of clear nights during these months provide many good opportunities to watch the auroral displays in the skies. 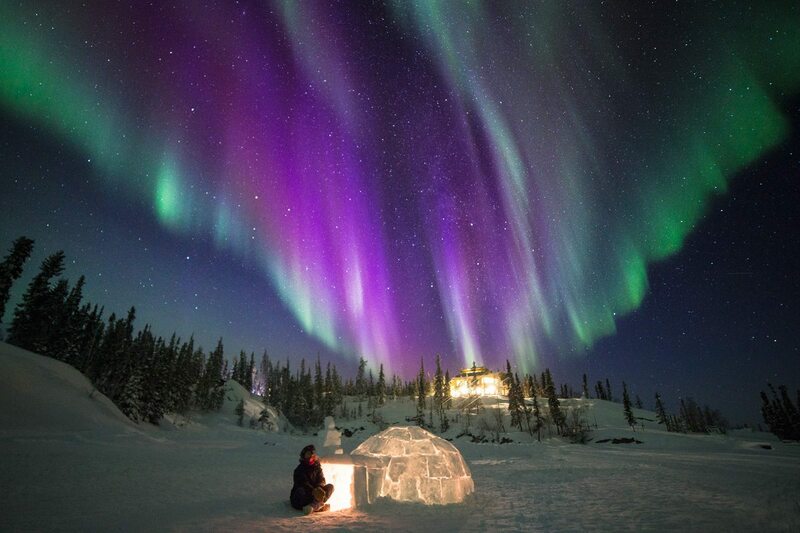 Alaska’s location within the aurora oval which means you are almost guaranteed to see the spectacular light displays. Denali National Park in Alaska is the best place in North America to take in the northern lights. The aurora borealis becomes visible in the night sky when the long summer days of the far-northern latitudes end. The park has its own forecast system and offers tours to take visitors to watch the Northern Lights. The Aurora Oval covers the majority of Canada and because of its northern latitude and low light pollution, it is one of the best places to see the Northern Lights. Wood Buffalo, Lake Superior, and Jasper National Park are popular viewing spots. 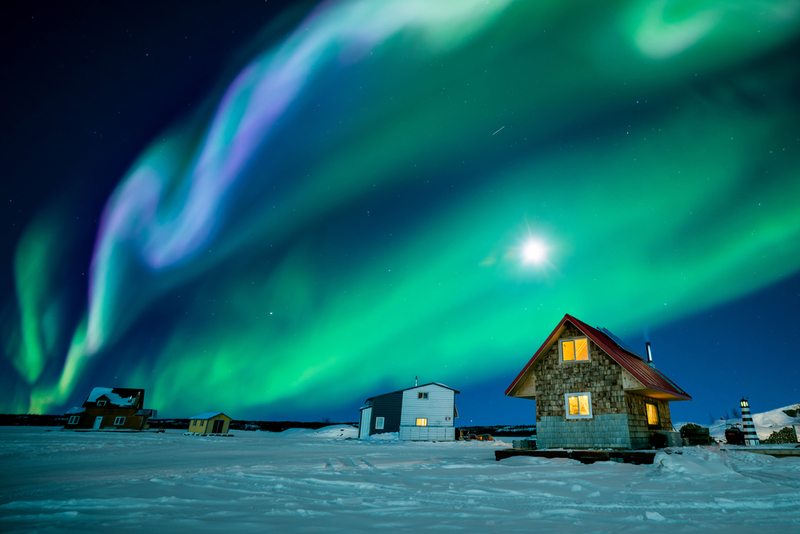 The lights can also be found in the provinces of Yukon, Northern Saskatchewan, Northwest Territories, Newfoundland, Nova Scotia and British Columbia. With the right conditions, you’re highly likely to see the Northern Lights in Canada. You can see northern lights from most parts of Greenland but the areas south and east of Greenland provide good viewing opportunities. In Greenland, Aurora Borealis actually occur all year round, but it cannot be seen during the summer months due to the midnight sun. Iceland is one of the best places to see the Northern Lights with its massive glaciers, geysers, breathtaking waterfalls, and volcanoes. 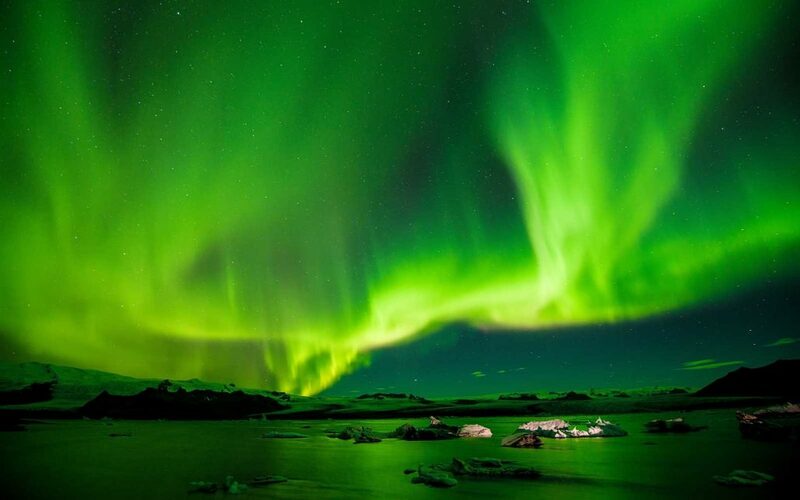 The best season to see the northern lights in Iceland is during the full dark nights of September to mid-April. Its location above the Arctic Circle, and within the Aurora Oval makes Norway one of the best places to see the Northern Lights. Northern Norway is a land of wide open spaces and little light pollution offering superb opportunities for seekers of the northern lights. The Northern Lights season in Norway is between November and February. When summer days are long gone, the northern town of Tromsø offers the majestic sight of the Aurora Borealis. The area around Abisko in Swedish Lapland is scientifically proven to be an ideal viewing spot due to a unique micro-climate with less precipitation than any other location on Earth located within the auroral oval. The Aurora Borealis appear around the beginning of September to around the end of March all over Swedish Lapland. The dark winter nights are perfect for sky watching. Northern lights appear on more than 200 nights a year in Finnish Lapland, making Finland one of the best places on Earth to spot the Northern Lights. In Finland, the opportunities for viewing the northern lights can be combined with a range of exhilarating activities. You can gaze the lights from the comfort of your own glass igloo and stay in a traditional log cabin complete with sauna and open fire. This natural phenomenon is definitely a classic Arctic experience which causes excitement among those who have never seen it before. No wonder many people travel thousands of miles just to see these magnificent natural light shows in Earth’s atmosphere.